Hayes Pump distributes Goulds Water – Xylem centrifugal and turbine pumps, controllers, variable frequency drives and accessories for agricultural, building contractor trades, commercial and light industrial water pump and wastewater pump applications. Goulds Water Technology has served the market for several decades and engineers a broad portfolio of products to create efficient systems and sustainable solutions. Goulds Water Technology began in 1848 in Seneca Falls, N.Y., when Seabury S. Gould purchased a pump making business. Innovative for its time, the company went on to become the world’s first producer of all-metal pumps. Today, Goulds Water Technology provides residential, commercial and agricultural products globally, under the ownership of Xylem Inc.
Hayes Pump offers Goulds Water -Xylem pumps in Maine, Massachusetts, Vermont, New Hampshire, Rhode Island, Connecticut, New Jersey, Greater New York City Metro and Eastern New York State. Hayes Pump is a factory-trained, stocking distributor for Goulds Water Technology and provides local support and inventory. 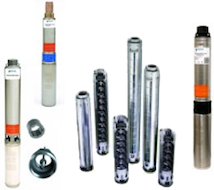 We are a Factory Authorized Service Center for Goulds Water Technology. Using state-of-the-art techniques in turbine pump design, Goulds’ vertical turbine line covers a wide range of hydraulic conditions to meet virtually every pumping service in the industry with optimum efficiency. 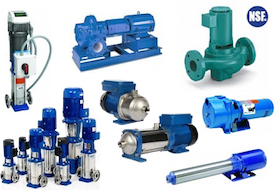 Goulds Water Technology offers Centrifugal pumps and boosters that are self-priming, close coupled in stainless steel, cast iron, and bronze pumps. 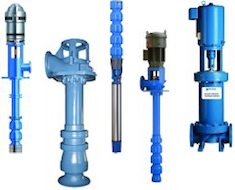 Offering solutions with high pressure, multi-stage booster pumps. The Aquavor® CPC uses the latest state-of-the-art Aquavor technology. Hayes Pumps works with Goulds Water Technology to offer complete packaged system solutions that are easy to install and cost effective. Packages include options for Fixed & Variable Speed Booster Packages, Pump Stations and Booster Products and Updates. The Goulds Water Technology Jet Pump product line with models designed for use in homes, farms, cottages or booster services. 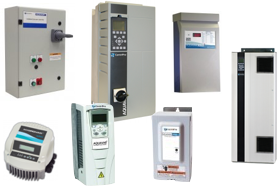 Goulds offers Variable and Fixed Speed Pump Controllers, such as sewage pumps and dewatering pumps, and submersible grinder pumps. Convenient self-priming pumps along with rugged and convenient specialty pumps that are lightweight, portable and compact. 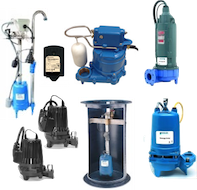 Multiple products from sump, effluent and sewage pumps and accessories are designed for both residential and commercial applications. 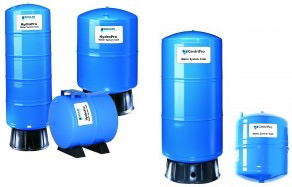 Choose from submersible sump/dewatering, effluent, sewage and grinder pumps. A full line of control panels, basins, and accessories is available. Industrial Water Well pumps submersible to varying depths with gallons per minute specifications. Holding Tanks that are designed and sized to fit your pump application.